LONDON, 2017-Dec-08 — /Travel PR News/ — British Airways is further expanding both its London City and regional operation with three new routes, increased frequencies, two more aircraft and 40 new jobs. Just a week after the airline announced it is increasing flights from Manchester, Birmingham and Bristol in Summer 2018, today it unveils plans to double its weekday services between London City and Milan Linate and add a new weekday service to Frankfurt from January. In addition, there will be new summer services from Manchester and Edinburgh to Florence and a weekly service between Manchester and Dublin. The extra flights are made possible with the arrival of two new 98-seat Embraer 190 aircraft in January and April 2018, bringing the total fleet number to 22. The airline is also recruiting 20 new pilots and 20 cabin crew. This year British Airways has launched dozens of new flights from London City, Stansted, Manchester, Birmingham and Bristol airports. Luke Hayhoe, British Airways’ general manager customer and commercial, said: “The new Embraer 190 jets will be a welcome addition to our fleet as we continue to grow our route network and frequencies both from our home base at London City and from other UK regional airports. It enables us to expand both our business and leisure routes, with much improved schedules and timings to Milan Linate and Frankfurt. 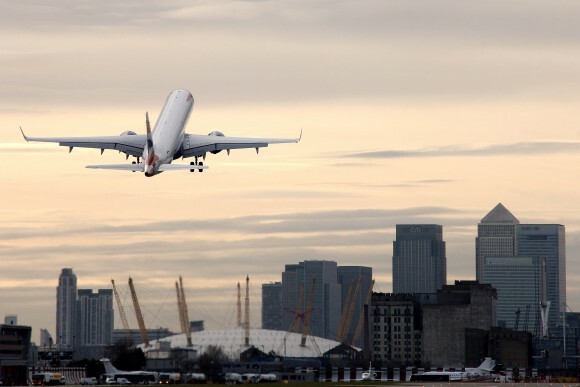 London City to Milan Linate flights increase from 11 to 23 flights a week, Frankfurt increases from 20 to 24 flights a week and Dublin increases from 32 to 36 flights a week. This entry was posted in Airlines, Airports, Flights, Travel, Travel Services, Travelers and tagged British Airways, London City, Luke Hayhoe. Bookmark the permalink.